With the Trump administration, the phrase “another day, another press conference” takes on an entirely different meaning, one more akin to “what happened this time?” than to the mere reporting of what used to be an oft-banal proceeding. 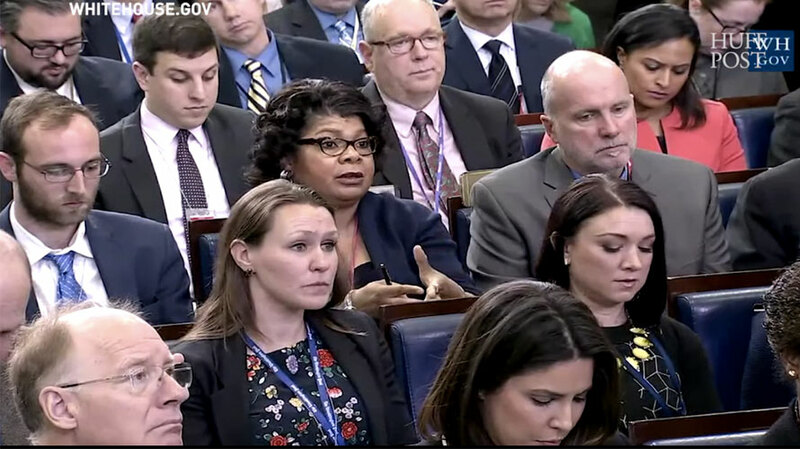 This time, it began as White House correspondent and American Urban Radio Networks Washington bureau chief April Ryan asked a question about a White House image makeover as it continues its scandal-plagued early run. “We don’t have that,” began press secretary Sean Spicer in his response, feeling the need to sprinkle into his defense of the administration an admonition for Ryan to stop shaking her head. “Please stop shaking your head again,” is the phrase he used. And as journos responded on Twitter, there were certainly some head shakes to be found there. “Please stop shaking your head again,” Spicer says to veteran WH correspondent April Ryan. Some noted the symmetry between this morning’s Fox & Friends segment during which Bill O’Reilly insulted Rep. Maxine Waters’ hair and Spicer’s comments this afternoon. Maxine Waters & April Ryan. Today seems to be the day for Republicans to insult black women.